We are offering Metal Stampings to our clients. We offer InspectionStamp to our clients. Materials used include Steel, Brass, Copper, Nickel silver, Stainless steel, Copper Beryllium, Phosphorous Bronze, Aluminum. Capabilities include compound blanking, forming, and piercing, progressive die, and deep drawn stamping. Our CM 4 SA and SB EC4 Stators and Rotors stamping are in great demand. The Stamping field coils and armatures are used in electric motors in Marble Cutters, Drill machine, Sewing machine, rotor armature, electric armature, electric field coils. In order to attain supreme level of client belief and fulfillment, we are indulged in the business of providing Metal Stamping to our patrons. Presented services are in tune with the present advancements and trends taking place in the industry and are highly acclaimed and recommended by our clients for their affordable pricing. We are successfully meeting the varied requirements of our clients by providing the best quality range of Metal Stamping. M D Industries offers quality stamped and formed Austempered components for your wide range of applications. 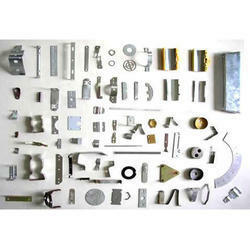 The components include Clips, Hose Clips, Stamped Parts, Multi Formed components. Prototype Metal Stampings operation that produces tight tolerance holes to specification. Examples of metal piercing include location or mounting holes and tube window specifications. It is the process of cutting internal features of any stock like holes or slots. The advantage of prototype service is that, it ensures good hole-to-hole tolerance and part repeatability. 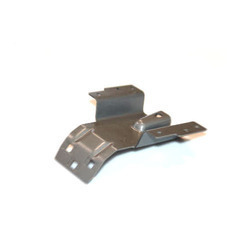 We offer a comprehensive range of stampings for large motors and windmill generators. Manufactured as per the requisite norms and grades, our range of larger motor stampings and windmill stamping can also be customized as per the client''s requirements. We are manufacturer and supplier of Rim Marking Stamps. With our well connected and vast distribution network, we deliver these stamps within promised time frame. The sharpness of the stamped image and durability of the punch are the key features of our products. We are indulged in manufacturing fine quality of Stampings Item Code: S002 to our clients’. These are customized as per clients’ specifications. Our products are high on quality and are offered in different specifications and sizes. We charge minimal rates and OEM orders are welcomed by our professionals. the scope of this process of manufacturing has permitted precision stamping to play an integral roll in bringing in new products and technologies to the market, thus facilitating product enhancements, and improving the methods of manufacturing. this being the core of our business, adroit’s investment plans are for both the high and low range of press tonnage. With the aid of latest tools and equipment, we have been able to offer high quality Sheet Metal Stampings for Aerospace to our valuable customers. Moreover, via completing thorough quality confirmation techniques, the nature of the offered scope of sheet metal stampings is kept up.